When my eczema first went bad, my first thought was that my shampoo must be to blame. I'd been using various Lush solid shampoos for a while (which I love) but then my scalp started to get really itchy. Then red, itchy eczema patches appeared on my upper back and shoulders, around my hairline and behind my ears. So the shampoo seemed to be the obvious culprit. 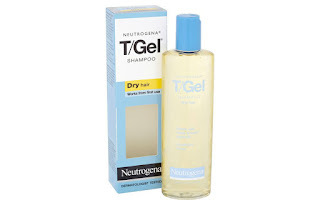 If the lovely, natural Lush stuff was giving me trouble I wasn't about to try anything chemically from the shops so I tried a more sensitive skin option: T-Gel shampoo . I used it for a week or two but there was no alleviation of my itchy scalp. Add to this it was quite expensive and although not unpleasant, didn't have much to recommend it scent or experience wise. I started to wonder whether it was the sodium-laureth sulphate. (An ingredient in my foaming beauty products which many people have a reaction to so I tried to find something without that in. Next I tried Oilatum shampoo, which I have been using ever since.